So another year comes around where there will be no British Comics Awards. In fact, the awards landscape in the UK is looking pretty barren across the board. Despite the apparent growth and health of comic/graphic novel sales we don’t seem to be able to come up with one comics award ceremony that recognises the full spectrum of work that is produced on these isles. The BCAs have been an important addition to the UK comics scene in recent times and we should all be very grateful to comic creator Adam Cadwell for reviving them and for the lovely people at Thought Bubble for showcasing and promoting them. Like most things in the British comics industry though, the BCAs were dependent on the free time and excellent intentions of individuals and when it became too much for that individual to organise each year, it ended. Adam did an amazing job but something as vital as that shouldn’t rely on one person. Nor should it ideally be run by creators or publishers; they should be being recognised by these awards, not running them. We’ve been spending a lot of time looking at the US and Canadian market in recent times and I often find myself envying their scene. At the Toronto Comics Arts Fair they have the Doug Wright Awards which recognise excellence in Canadian comics. SPX has the Ignatz Awards which recognise outstanding achievements in comics and cartooning by small press creators, or creator-owned projects published by larger publishers. Then there are the Eisners at San Diego, the Oscars of the comic world, with a generally admirable selection of books from the mainstream, indie publishers and small press. These in the past have included books published in this country by the likes of Tillie Walden and Kristyna Bacznyski. Even smaller events, such as Dink Denver, can come up with an award ceremony. Yet in the UK we are now in a situation where there are no comics awards of significance representing the whole country. 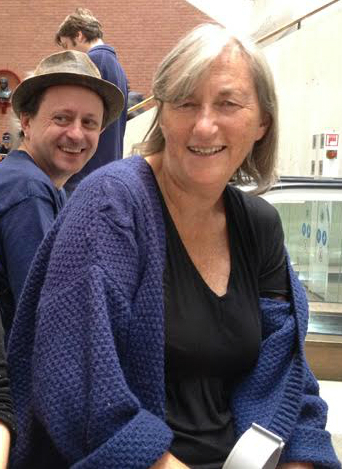 There are a few that represent specific areas, such as the Scottish Independent Comic Book Awards, which I’ve had the pleasure to attend when our book, The Beginner’s Guide to Being Outside by Gill Hatcher was nominated. 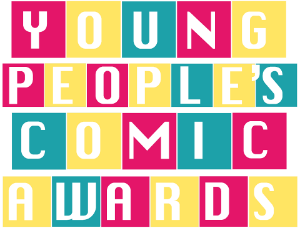 Then there are awards like The Excelsior Awards and The Young People’s Comic Awards that are primarily focused on all-ages/YA books. God knows that’s an audience that we need to be reaching and let’s all be grateful that these awards are helping with that. But additionally we need something that seeks to promote British comics as a whole. There are a lot of great comics being produced in the UK and by Brits in other countries. There should be awards that can include the likes of 2000 AD, The Wicked + The Divine, Isabel Greenberg’s graphic novels, The Phoenix, Marc Ellerby’s Rick & Morty work, The League of Extraordinary Gentlemen and the books put out by publishers such as Shortbox, Nobrow and, yes, Avery Hill. Not to mention non-traditional publishing methods, such as webcomics. Whatever we can come up with going forward needs to be able to bring all of these aspects together and recognise their achievements equally. Even something as massive as the Eisners manages to do that, with our book I Love This Part by Tillie Walden being nominated in the same category as Marvel’s The Silver Surfer! Whilst awards can often be seen to be divisive and people will complain that the right things are not recognised, they can also be an excellent way to represent and unify a scene. Then there is the issue of promoting our industry. The publicity potential in awards is massive. If we want to keep growing our comics scene then we need to reach more non-comics readers. Presenting the non-comics press with a story about a British Comics Awards is much more likely to bear fruit than any other type of comics news story as it’s a recognisable format for them and seems to portray the best of the industry. From the point of view of a small publisher, awards are a very important way for us to reach the people that our small marketing budget doesn’t allow. Being able to say that Grey Area: From The City to the Sea by Tim Bird was named Best Comic at the British Comic Awards was a big deal in being able to sell that book and its sequel. 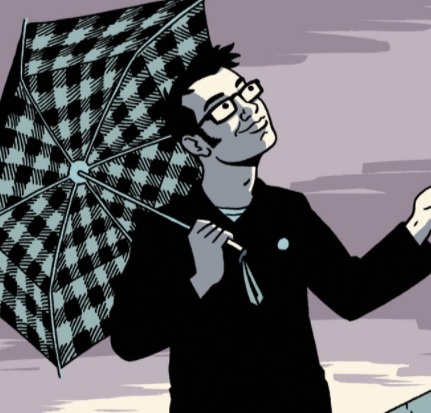 Tillie Walden’s Eisner and Ignatz nominations and awards put us on the world map in a way that we might never have been able to achieve without them. For a larger publisher it helps their books stand out on a crowded shelf and also attracts other top creators to join them. As well as being good for publishers like us, they’re also good for creators, especially those just starting out or working in the small press. This is an excerpt from Tim Bird’s speech when he received his British Comic Award back in 2015 (right); the last time that award was run. 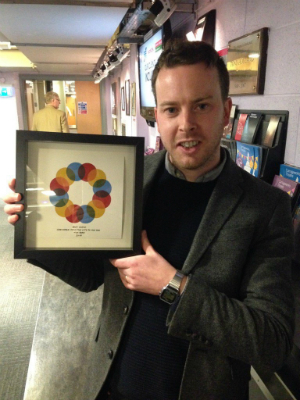 It’s a real honour to be selected for this award, and it genuinely means an awful lot to me. The work you’re doing in supporting British comics is hugely important, and I’m sure has contributed to the growth of the comics scene over the last few years. For me personally, seeing self-published, and small press comics being taken more seriously, and being considered alongside well-established publishers has been a great inspiration. It’s really important for UK creators to be able to see a career path or we’ll lose them to day jobs or other creative industries after a few years. In “the old days” this path used to be obvious. You’d work on 2000 AD or Marvel UK books and come to the attention of the US or another graphic novel publisher. This led to a whole wave of our creators revolutionising American comics. Grant Morrison, Alan Moore, Alan Davis, Neil Gaiman, to name but a few, all came up this way. But it also meant work for colourists, editors, letterers and other skilled workers in comics. By unifying the scene, newer creators putting out a self-published book can look around and see Kieron Gillen, Sean Phillips, Jock, The Phoenix or 2000 AD and see a career path that doesn’t necessarily involve having to write and draw your own 400-page graphic novel in the hope that one of the very few UK publishers will pick it up. 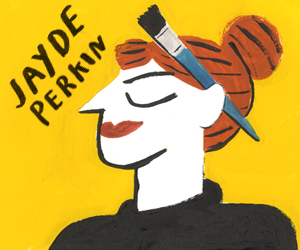 You can ‘just’ be a writer, or a letterer or a penciller or an inker or a colourist. Whatever form a British Comics Awards takes in future, there should be awards and recognition for all of these categories. But as well as requiring a major comics awards ceremony to recognise the whole scene, it’s also great to have smaller awards. We have lots of websites over here that do a great job of this. 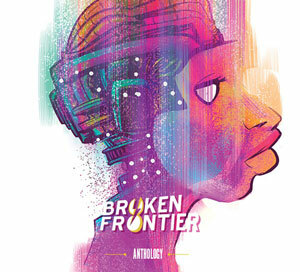 For example the Broken Frontier Awards are excellent at recognising new creators. But it would maybe be great to see things like that combined with an event that matches their sensibility. We don’t necessarily need a whole lot of new awards, just more knitting together of what’s out there already. That’s how you put together an industry that can survive, rather than having a disparate, though productive scene, that relies heavily on individuals. I’ve said it before, but you could take about six key people out of UK comics and the whole grassroots scene would fall apart. This isn’t designed to just be a moan about the UK comics scene, I’d like it to open up a conversation about what we need and how we can achieve that. To that end I asked a few interested parties to send me their views and I’ve included them below. It begins, as it should, with Adam Cadwell who was responsible for reviving and running the BCAs in recent years. It then moves on to include three important UK publishers; Rebellion, who put out 2000 AD and have recently undertaken an amazing archival series of classic British comics such as Misty and Roy of the Rovers; Myriad who are at the forefront of discovering new talent and approach things from a more traditional book market perspective and then Good Comics, who are new kids on the block and deeply immersed in grassroots indie publishing. In 2011 I saw a need for a national, annual awards to celebrate and promote the best in British comics. I saw so much great work being produced, a real boom of creativity and expression, that it stunned me that no-one was taking the initiative to showcase this work to a wider audience. I stepped up and organised the British Comic Awards which held its first ceremony in November 2012 as part of the Thought Bubble Festival in Leeds. I thought if we lauded a considered selection of some of the best work that year, and each year following, that comic shops, book shops, schools and libraries would take notice and the BCA shortlist would be a go-to source for finding excellence in comics. That happened to some degree, I know a few schools had a BCA display each year and their libraries contain many of the shortlisted titles, both published and self-published works. Some comic shops ordered more of the nominated titles and arranged their own displays, and a few branches of Waterstones agreed to do the same but then they didn’t. Organising a successful awards is a big job that takes a lot of time and coordination; promoting that awards to the world outside of the comics community is a whole other task. Speaking as an artist myself, I think the problem with a lot of the movements in the UK comic scene is that they are artist-led. They start off with a ton of enthusiasm but over time, especially if the project is successful and needs to grow, the commitment to the project can become unwieldy. If it makes the artist good money and gives them enough time for their own work, great, but comic-affiliated projects or businesses are rarely a part-time goldmine. I still see the need for a national awards for comics, one that celebrates them as a unique form of storytelling and art, and one which embraces the wide scope of the medium. The sales figures for graphic novels continue to climb whilst every genre of book sales continues to drop. Yet comics and graphic novels are still misunderstood and typecast by the mainstream media. The distribution of comics is a big factor in this, and a whole other conversation, but the representation of the medium within the publishing world and the media is something a well connected awards could help with. From experience, I know that an awards needs, at the very least, an organiser, an event manager, a PR manager, a fundraiser, a designer (for print and web) and a team of people willing to read hundreds of comics and graphic novels in their spare time. I’ve worn all those hats and it’s exhausting. If five non-artists with a deep love of the art form came together and ran a new awards (or took over the BCAs, wink wink) I truly believe it could do wonders for the medium in this country. It’ll be a lot of work, but if nothing changes it’ll be “Biff! Bam! Pow!” headlines until the end of time. And nobody wants that. 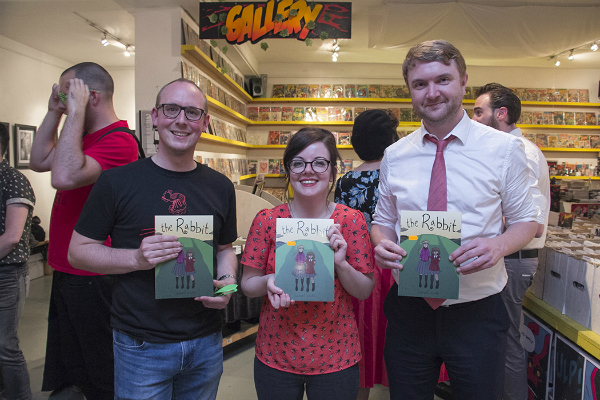 At a time when graphic novels are more popular than ever and even a conscientious reader is spoilt for choice, awards are an invaluable way of promoting and championing comic books. Not only is highlighting new work important for existing readers of the medium, but it is essential for drawing in new readers by showcasing the incredible surfeit of first class work available. 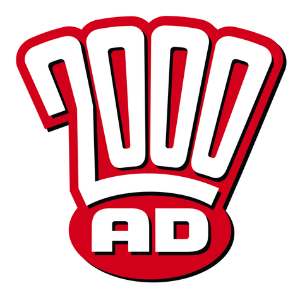 2000 AD has been amazingly lucky over the years to have won many awards, but our appetite to stand our newest work up against our contemporaries remains. Rebellion would welcome an ongoing comics award that reflects and rewards major British works published in all categories and genres of the comic book medium. Looking at the awards ceremonies for other industries they do seem to require a lot of sponsorship and often the organisers ask for entry fees too, as well as charging zillions for the award dinner. It’s very annoying when you enter authors for an award and for them to be shortlisted, only to find out that the cost of attending the award ceremony is totally prohibitive. But of course, awards are great for creators as well as publishers – to be able to add ‘award-winning’ or ‘shortlisted for’ to the book cover, and to publicity material, is always very helpful. However, they are a LOT of effort to organise, and without sponsorship or submission fees, it’s a big ask for the independent comics sector to host. Of course it’s easiest if you are a membership body representing comics creators, or even comics publishers, then it’s possible to set up your own criteria and raise funds for it etc. Hence festival committees like Thought Bubble, or some of the longest running membership groups like the Cartoonists Club of Great Britain, Political Cartoon Society, have run these in the past. Maybe a steering group of creators, publishers, festivals needs to come together to look at other models like the Eisners and Angouleme prizes, and to set up some guidelines. Then work out what categories, and how to raise funds – sponsorship, modest entry fees to help get some admin support to get the ball rolling. I’m sure there would be loads of enthusiasm for it to get it going: there was an attempt a few years ago to do so which foundered, but I’m sure this is a good time to get cracking again. Awards can be useful for getting people to read particular comics, and can help to create buzz around a comic. For us, in the relatively short time we’ve been doing this, we’ve never submitted to any awards. But we will at some point when we think we’re a good fit for one, for sure. 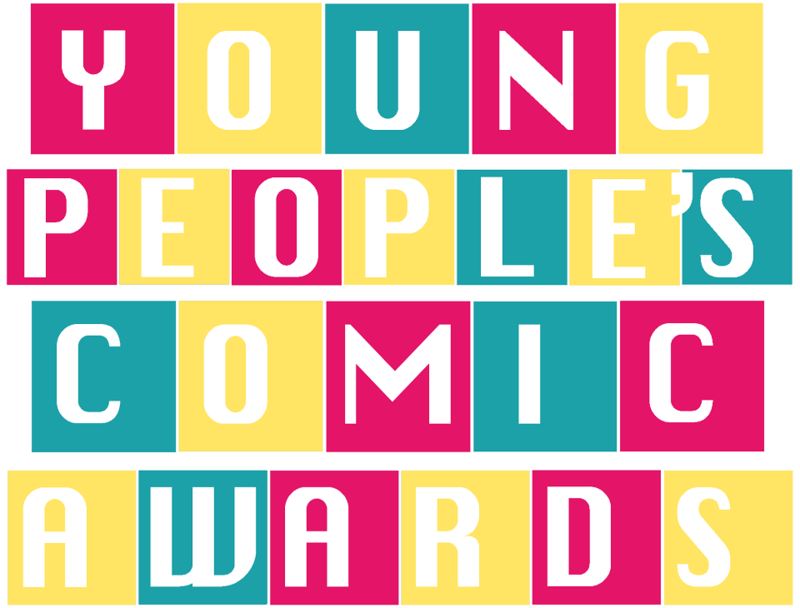 We do think it’s a shame the British Comic Awards aren’t happening this year, but we get why – it’s to do with the size of the comics scene as a whole, and the scale of it. There’s very little money in comics in general, and awards need money to be meaningful and to make an impact. So I think we need to ask how to fund awards properly in comics – whether it’s from the Arts Council, maybe crowdfunding, maybe shows like Thought Bubble and ELCAF charging an extra quid on their ticket prices to fund an award attached to them, things like that. We’re somewhat skeptical about awards in general as there’s always an element of arbitrariness and they always reward some creators at the expense of others who are probably just as good. But the British Comic Awards were really good, and helped to celebrate the vibrancy of British comics, so we would love to see something like that make a return. If you look at the Eisners or the Doug Wright Awards across the pond, for example, they’re really great. It would be awesome if we could sustain something like that, but the UK scene is just so much smaller, and any awards need to be meaningful. Ricky Miller is Co-Publisher of Avery Hill Publishing. You can follow them on Twitter here.